You Ask Yourself… What Is The Best Flashlight? You have come to the right place. There are many different kinds of flashlights, and they all fulfill different purposes. Maybe you want a light just to always have with you or maybe you need a serious flashlight for work or self-defense. Our goal is to look at the different styles of flashlights and give you our recommendations of the top flashlights in that segment. So, what is the best flashlight? It is different for everybody. It depends on what you are looking for. What Makes The Top Flashlights Great? There are some qualities that all flashlights should have. Nobody wants to carry a flashlight that doesn’t work! For this reason I suggest that you do not shop completely by price. You need something that is reliable more than you need something that is cheap. So here is what to look for. If you are going to make the effort to carry a flashlight with you it needs to work. A reliable flashlight is one that does not have electrical issues and comes on when you want it to, sometimes this is a quality issue but most likely it is a durability issue. A durable flashlight will be made from a strong material like air-craft grade aluminum, titanium, or some very special plastics. The best flashlights have seals that close off the inside of the flashlight so dust, dirt, and water can not easily get in. Lastly, it will be mostly shock proof which means most will have LED bulbs. Most of the other options in the flashlight are only important for specific needs. Maybe you want more than one brightness level or maybe just one so you can depend on the output. Maybe you want a standard size battery or maybe a special battery that will give you more output and battery life. These are all decisions that you will have to make and will depend on the type of flashlight that you want. If you want to look at our complete comparison chart that you can filter down to the best flashlight for you, click on Comparison Chart in the menu, otherwise you can look through our lists of the “Best Of” each kind of flashlight. 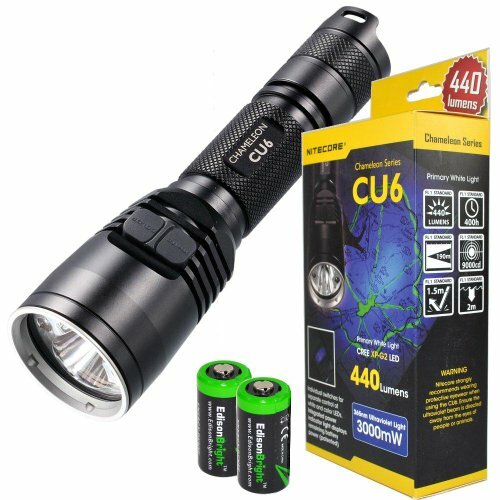 Before you get started looking through this list realize that the link at the top of each buyer’s guide will take you to a entire article just meant for that type of flashlight. Also, the items that we chose to select here are not necessarily the best flashlight from that article but only the best in the particular segment. As an example if you are looking for the best 18650 flashlight but the item we hi-light that is only a single 18650 battery flashlight you can click through are read the full article and find flashlights with up to 4 18650 batteries. 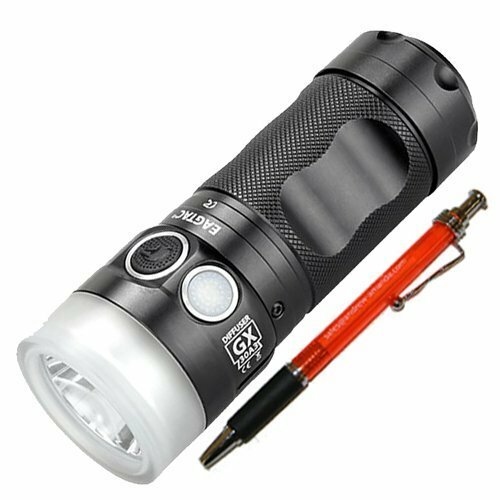 Not necessarily the determiner of weather a flashlight is the best or not but we only considered top quality flashlight manufacturers for our brightest flashlight article. We rank brightest based on out of the front Lumens. Many flashlight manufacturers list theoretical Lumens for the LED, we use actually measured out of the front Lumens to help you find the brightest flashlight. In our Brightest Flashlight Buyer’s Guide you will find the 18 brightest flashlights on the market separated by battery type and by how many batteries they have. We understand that if you are interested in the brightest AA flashlight but we only give you the brightest overall flashlight regardless of battery then we would be failing you. All of the Brightest flashlights that we have covered in our buyers guide are great lights. For here we will highlight the actual brightest flashlight. If you are interested in the brightest of a particular battery type or battery count read the entire Brightest Flashlight Buyer’s Guide. Right now the brightest flashlight is the Imalent DX80. Imalent has been making great gains with the quality and price point of their flashlights. The DX80 is putting out 32,000 Lumens with its’ 8 Cree XHP70 LED in a small 8.39 inches long and 3.62 inch diameter. It is barely big enough to fit the eight 18650 batteries that power it. The DX80 as with most of the “brightest” flashlights is more of a flood beam so it will light up the area surrounding you but at 32,000 lumens it will definitely throw pretty far just based on so much output. If you are looking for a light that will shoot as far down range as possible look at our top “throw” flashlight. This flashlight has six different brightness levels with the brightness levels listed below and in addiation it has strobe. It comes with Imalent’s intelligent temperature control (ITC) system that will stop the light from getting too hot and damaging itself. An EDC (Every Day Carry) flashlight is one that you carry with you everywhere. There are certain things to take into account when looking for an EDC flashlight. The first is size, how big of a light can you keep with you everyday everywhere? There is less output in smaller lights so how much light or Lumens do you need? Lastly, this thing is with you all of the time, this means super durability. The top flashlights manage to be small, powerful, and durable. Unlike the brightest flashlight above which has a definite winner based on lumens for many of the other flashlight categories so much comes down to what you will use the flashlight for. For our best EDC flashlight we are going with the flashlight that we are the most likely to carry based on size. Your size requirements will be different than ours so please read the full Best EDC Flashlight Buyer’s Guide where we cover 12 great EDC torches based on battery type and size. Our favorite EDC flashlight right now is the Olight S1 Baton. The S1 Baton produces 500 lumens from a Cree XM-L2 LED for a short one minute burst before stepping down. All this light comes packed into a tiny 2.4 inches long and 0.83 inch diameter which means you can carry it with you everywhere and it will not get in the way. In-fact, this light is so small it will easily clip onto the brim of a hat to act as a headlamp. The S1 is powered by a single CR123A primary battery or you can use a RCR123A rechargeable battery. Using TIR optics this flashlight produces a very clean and balanced beam. This flashlight has a memory so it will turn on at the same level that it was turned off and it also has a strobe function. Another neat thing that Olight does with most of their small flashlight is they put a magnet in the bottom of the light so it is easy to stick to the underside of a car hood or any other surface so you can use it as a work light. In a good rechargeable flashlight you are looking for the same characteristics of a non-rechargeable light but with the added benefit of helping the environment and saving money. Rechargeable lights are really coming into their own. You could consider any flashlight that will take a rechargeable battery and rechargeable flashlight but in this article we focus only of flashlights where you can recharge the flashlight without taking the batteries out. We have separated them by size and by type of recharging. First, there are the flashlights that have a completely proprietary connector like a cradle or plug and they have a charging cable that plugs into the wall. Next, we cover the top torches that have a proprietary connector but can plug into a USB charge port. Last we cover lights that go USB all of the way, the charging cable plugs into the flashlight with a micro USB port and can plug into a USB charge port. Depending on your requirements or preferences all of them can be good. Our choice for this article is only one of the 12 flashlights covered in the article. 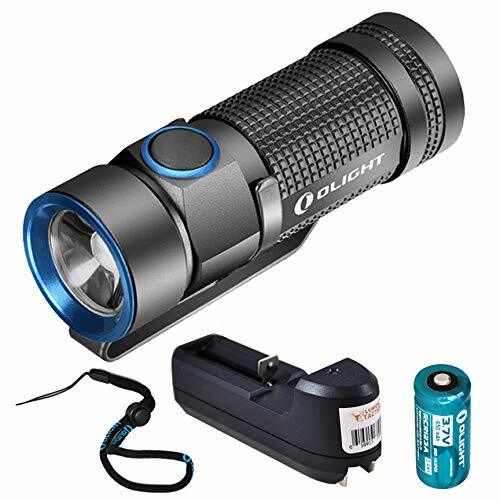 If you are looking for a light that is a different size or with a different connector type please read the full Best Rechargeable Flashlight Buyer’s Guide. 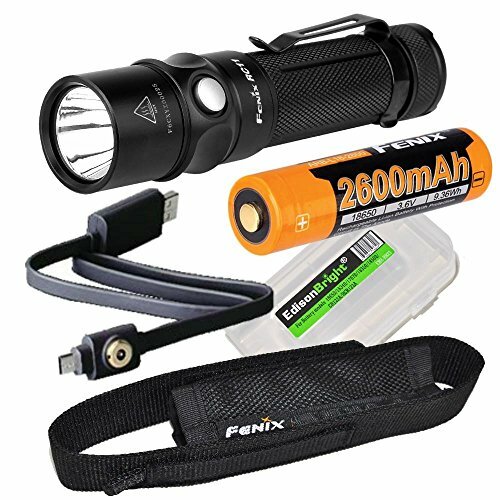 For this article we are picking the Fenix RC11 as the best rechargeable flashlight, if this does not fit the size and connector type you are looking for please read the full Rechargeable Flashlight Buyers Guide. The Fenix RC11 is a small light coming in at a length of 4.47 inches long that produces 1000 lumens with its’ Cree XM-L2 U2 LED. The light is powered by a single 18650 li-ion battery and has five brightness modes and a separate strobe mode. As a internally rechargeable flashlight this light has a proprietary flashlight connection and gets its’ power from a USB charging port. The really cool thing that Fenix did with their charging cable is that the end of it has both the magnetic charging connection for the flashlight and a micro USB port for all of your other gadgets. You will not be able to plug both in at the same time but it means that you only need to carry one cable to recharge your phone and your flashlight. We like the magnetic recharging connections because they make the flashlight completely sealed from outside elements, it stinks when water or dirt get in your micro USB charging port. The best keychain flashlight is the one that you can handle being on your keychain all of the time. Similarly to EDC flashlights size is very very important. Also, the flashlight needs to have a keyring loop. With most keychain flashlights the keychain that comes with it is not very strong so you would want to get a much stronger keychain and attach it directly to the loop on the flashlight. As technology helps us get brighter and brighter LEDs that run on smaller and smaller amounts of power the keychain flashlight segment is starting to get interesting. Of course you could put anything on a keychain but realistically you want something that will fit in your pocket and not get in the way. For us we made the desicion that the biggest that we would go and consider it a keychain flashlight is a single AAA flashlight. The full Best Keychain Flashlight Buyer’s Guide covers 6 flashlights from small coin cell flashlights to single AAA lights and new segment of lights that is similar in shape to a tic-tac box. The light here is our favorite of the single AAA torches but if a small coin cell or rechargeable tic-tac box sized light interests you please read through the full Keychain Flashlight Buyer’s Guide. The SureFire Titan Plus is our favorite single AAA battery flashlight at the moment. 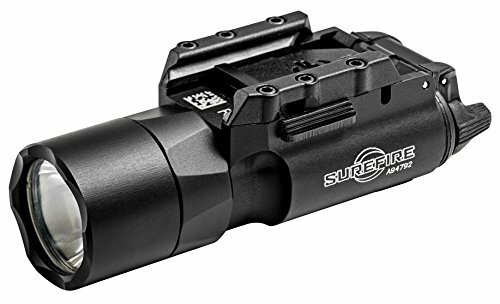 This little light from SureFire completely dominated the field when it was released providing 300 lumens burst off of one AAA battery. Coming in at a small 3.4 inches long and a little more than half of an inch in diameter the SureFire Titan Plus is a little bigger than other single AAA flashlights but it is built tough. The Titan plus can use diposable AA batteries but it actually ships with a Eneloop Pro Ni-MH which is one of our favorite standard size rechargeable batteries. The beam on the Titan Plus is more of a floody beam with SureFire’s “MaxVision” technology that does not have much of a hotspot but just a nice smooth wide beam. Match all of this with the handy quick release keychain adapter and SureFire’s trusted durability and you have a real winner. The only downside to this flashlight is the cost. We really like AA flashlights. Out of the standard size batteries that you can easily find in most stores this is our battery of choice. In fact, we do not even have any C or D battery flashlights on this website, they are just too big for the lumens that they can output. Being that AA batteries are also the most common battery and the most widely sold they also make a great battery for a survival light setup. In our Best AA Flashlight Buyer’s Guide we cover 13 different lights separated by how many batteries are used (1, 2, 3, or 4) and then they are separated by type (budget, brightest, longest throw, etc…). The flashlight that we chose to hi-light in this article from our AA Buyers Guide is from a an american company that is pushing the limits when it comes to brightness for a single battery. If this light does not fit what you are looking for please take a look at our full Best AA Flashlight Buyer’s Guide. Zebralight flashlights can be hard to get your hands on when they first release a new light since usually it is pushing the boundries of brightness and size all while being one of the most solidly built and mode customizable lights on the market. The Zebralight SC5 takes a single AA sized battery and can put out up to a 535 lumens burst for 3 minutes when using a Eneloop NiMH battery. 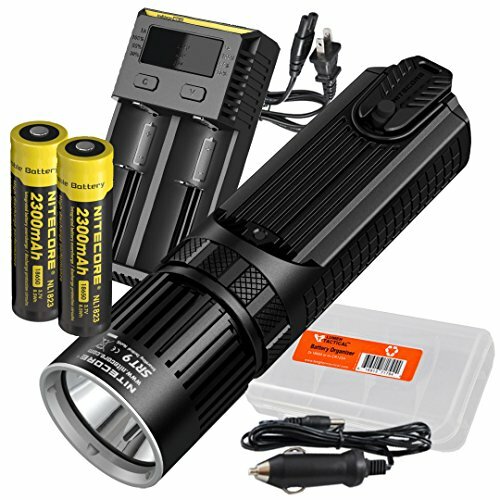 It is almost like they built the flashlight to maximize the exact power signature of the best non li-ion rechargeable battery on the market. The LED in this light is a Cree XM-L2. As far as being customizable the options seem to be endless for each of the high, medium, low setting there are 2 different modes and in the secondary mode the light can further be programmed to 3 different levels. Here is an example High 1 mode is 535 lumens for 3 min, then steps down to 325 lumens for 45 min. High 2 mode can be set to 325 lumens for 54 min, 200 lumens for 105 min, or 115 lumens for 210 minutes all of the High 2 levels do not have stepdowns. Sounds complicated but once you have it set to what you like you are golden to the exact setup you want. This all comes in a package that is 3.2 inches long with a diameter of 1 inch. A pistol light is a flashlight that mounts onto the front of a pistol. These lights need to be small and light. Pistol lights are a in a different class than most of the other lights that we cover on this site since they have to deal with more extreme conditions like shock and at the same time they need to be able to stay connected. The beam pattern may also be very important in these lights. In some cases like military or police your life is on the line and that flashlight needs to work. For these reasons the number of manufacturers of high quality pistol lights is much lower. This type of light is dominated by two brands with a few others starting to make some headway. This article covers 12 different handgun lights that are separated by the size of the gun that they will be attached to and the features that they offer like red or green lasers. The flashlight that we would we are hi-lighting for this article is probably the most trusted of all pistol lights on the market. It has gone through many revisions and is highly dependable. If this light does not fit what you are looking for then please read through our full Best Pistol Lights Buyer’s Guide to help you find the right light for your needs and gun. In a life and death situation we would not trust many different brands, SureFire would be on the top of our list. The SureFire X300 Ultra is our choice for the best overall pistol light if you are not looking for a laser. Coming with SureFire’s super high level of durability the X300 Ultra puts out 600 lumens for 1.5 hours. At 3.6 inches long and a 1.125 inch diameter this is not a small handgun light and is meant for a more full size handgun. Two CR123A batteries power the X300’s TIR lens to give a smooth high intensity light with extended range over a non-TIR light. As far as modes go this light has on and off, in a real tactical situation you might not want to fiddle with light settings on your gun. This light can be mounted with both a Picatinny rail or a universal crossbar wedge. Penlights are a cool segment of high quality flashlights that are designed with the idea of being as easy to carry as a pen. Maybe you want a penlight so it is concealed or maybe you want one so you can carry it like a pen. 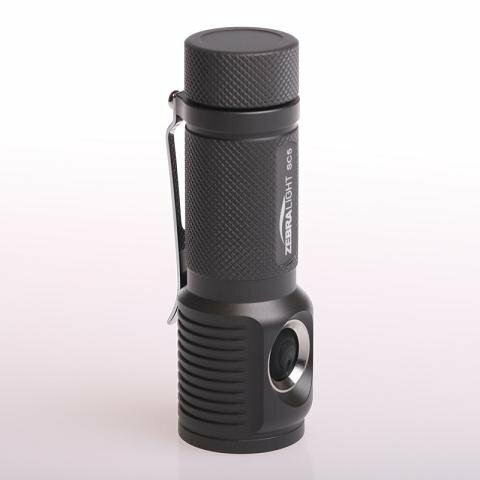 Just like the other flashlights reliability, size, and brightness are very important. But, you may also want to consider looks in this category since it may be seen sticking out of a jacket pocket. Most penlight are either powered by two AAA batteries or three AAAA batteries. They are intended to be low profile and to be carried anywhere just like you would with a pen. Penlights can be used by professionals, nurses, doctors, police, and even in tactical situations. In our Best Penlight Buyer’s Guide we cover 6 flashlights that will fit into different categories of use. 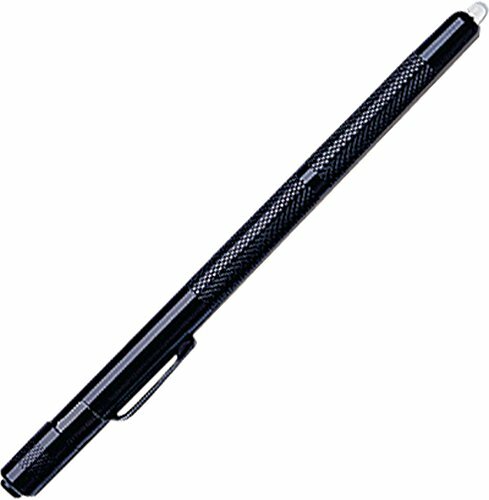 In a self defense situation a penlight can be use for the light to blind aggresors or it can be used like a kobutan or tactical pen to hit with. For this article we are going to go over probably the most prevalent penlight. If it does not meet your needs in a penlight please click through and read our full Best Penlight Buyer’s Guide. The Streamlight Stylus is one of the most popular penlights on the market and for good reason. It is the same size as a normal pen, comes in many options, and is very durable. The Streamlight is not light that will blind somebody or push out a huge amount of lumens since it is running on 3 AAAA batteries. The highest output is 11 lumens which is enough to help you get around in the dark and probably still too bright to use around your house with people sleeping. While the amount of lumens is not that high the runtime is great and unless you leave it on constantly one set of batteries will last you a long time for quick looking around. You can get the LED in white, blue, red, green, UV, and IR. And the options for colors of the actual flashlight are also pretty large. One other neat feature is the ability to have momentary on with the push of the tail button. In the above buyer’s guide we covered pen lights in general and for many different uses. But, some of those lights will not work well as medical penlights. In the medical field you have 3 different positions that are always using flashlights, doctors and nurses which will have the same requirements and then EMTs which will need different specifications. Doctors use lights for many things but the main thing is to see if your eyes are working properly. Your eyes should constrict the right amount and also your eyes should constrict in unison, meaning that if the light goes in one eye then both pupils should constrict. Since one of the main functions is looking into people eyes and many times looking around in dark rooms it is important that the light has the ability to start off at a low enough setting. In the Medical Pen Light Buyer’s Guide we cover 5 different lights separated by profession and use. The light that we have picked to hi-light here is our overall favorite but if you need something disposable or with a pupil gauge you should read our full Medical Pen Light Buyer’s Guide. The Thrunite TI4T is a great little flashlight. There are a few things that make this useful in a medical situation that some of the other penlights do not have. First is that with the titanium finish it looks really nice and professional. If you were to use a tactical looking light in a doctors office it would not be appropriate. Second, with a IPX-8 rating (waterproofness) you will be able to wash this light off as much as you want to keep it sterile. Last, this flashlight starts off in firefly mode which is 0.4 lumens, perfect for looking around in a dark hospital room or pointing at patients eyes. The Thrunite TI4T can put out a maximum of 300 lumens for 51 minutes out of it’s Cree XP-L emitter using two AAA batteries. So we have good looking, washable, starts in firefly, and one of the brightest pen lights on the market if you need it. You also have the option to get a neutral white LED which will have better color rendition and be closer to sunlight but you will lose about 15% of your lumens. If we were an EMT we would probably get the standard TI4 not the titanium version so we could have a better hold on it and not worry about the finish. We have already covered two different buyer’s guides that have mostly AAA flashlights in them, keychain flashlight buyer’s guide and pen light buyer’s guide. In this article we focus only on AAA flashlights and we separate them by type of switch to turn the flashlight on, number of batteries, and the color of the light (Hi-CRI). AAA flashlights come as either a twist switch or a rear click switch. As far as the number of batteries goes we only have picks for one AAA and two AAA because there is not much use in having a three AAA flashlight, they exist but you would be better off with a different battery type, Last is the color of the light. As mentioned earlier in the article as lumens levels are getting extremely high losing a small percentage to the color of the light will not matter. More and more people are requesting and only buying lights that have an output similar to the light of the sun. In the flashlight world this is called Hi-CRI which stand for High Color Rendering Index. For this article we are going to hi-light one of the Hi-CRI lights. If you need a AAA flashlight with different specifications you should read our full AAA Flashlight Buyer’s Guide which covers 10 different torches. The ThorFire TK01 is our budget choice for a Hi-CRI flashlight. Since Hi-CRI is just catching on most of the flashlights with these types of emitters are in limited edition models or only the titanium or copper models which means that overall they are expensive. The TK01 comes in at a very reasonable price. ThorFire has in the past not been the best brand but there quality has gone up considerably while keeping their lights in the budget price ranges. Keeping in mind that Hi-CRI flashlight typically do not put out as high of lumens as cool white flashlights do this little light still manages to have a of max 85 lumens. The ThorFire flashlight uses a Nichia 219C LED emitter cast a beautiful 90 CRI beam. 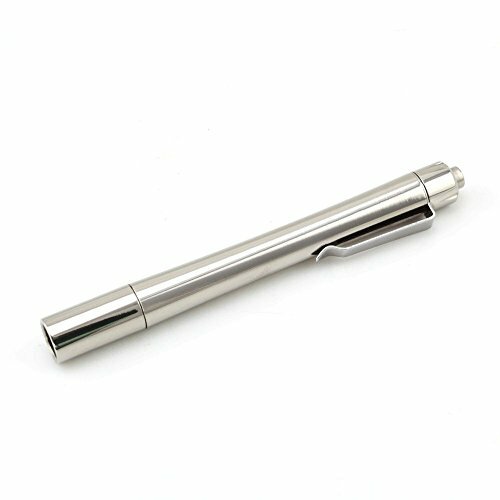 Using one AAA battery and being 2.75 inches long it is an easy light to carry around. When we talk about a flashlight’s “throw” we are talking about how far the flashlight will cast a beam until the light gets to the same amount as a full moon on a clear night (0.25 lux). Just like in our brightest flashlight buyer’s guide we felt that the only way to do this topic justice is to separate flashlights by both battery type and the number of batteries. This works out to be lots of flashlights to cover but if you want an EDC flashlight with the best throw you do not want to find an article that is only filled with huge flashlights that you can not put in your pocket. These flashlights range from AAA finger sized flashlights that cast a 60+ meter beam to battery pack flashlights with a shoulder strap that has a beam distance of 1000+ meters. In all this buyer’s guide covers 22 of the best throw flashlights by category, we hope that you can find the one that meets your needs. For this article we will hi-light the overall throw champion. This is a large flashlight with a huge head and reflector so if this is not what you are looking for then please read our full Throw Flashlight Buyer’s Guide. 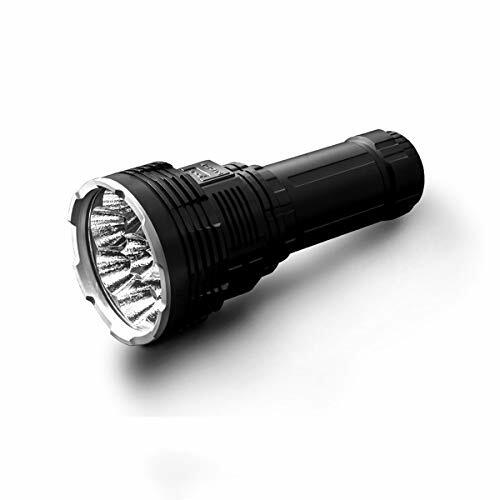 If you are a prepper or survival enthusiast then you know that a flashlight is pretty near the top of the list of must have items in your bug out bag. You definetly need to be able to see when it is dark out side. In this article we go over a bunch of different flashlights that fit different situations. Many of the lights on this site could be used as survival flashlights, but there are special flashlights that are designed for survival/rescue situations. Some features to look for could be bright colors, waterproof, ability to stand up, strobe/SOS/beacon modes, ability to break a window, etc.. A main light that puts out lots of lumens, a backup light, a headlamp, and some little light to carry multiple of just in case you need light real quick and you do not want to pull out your bigger lights. In all we cover 13 different lights in the Survival Flashlight Buyer’s Guide that are separated by use and then by using standard batteries or non-standard batteries. In survivalist groups there is often an argument about which batteries should be used. The standard sized batteries like AAA and AA can not provide the same level of brightness as the non-standard can for the same size and usually the li-ion batteries have a longer shelf life. The benefit to using standard size batteries is that if there was an apocalyptic type event they would be easy to find in pretty much every store. For this article we chose to hi-light our choice for the main light that uses standard size batteries. If this flashlight does not fit the needs that you have please take a look at our full Survival Flashlight Buyer’s Guide. Police officers are under enormous pressure in their job, especially the officers that have night duty. For a cop the flashlight has to work, their life might be on the line if it doesn’t. Therefore, police flashlights need to have a higher level of quality and reliability. Also, features like strobe and a way to turn directly to the highest brightness are pluses. Our Police Flashlight Buyer’s Guide covers 8 different lights so you can find what you are looking for. We cover off-duty easily concealable lights, lights for writing tickets and reading, all the way to duty and handgun lights. There are lots of different tasks that police officers use flashlights for. 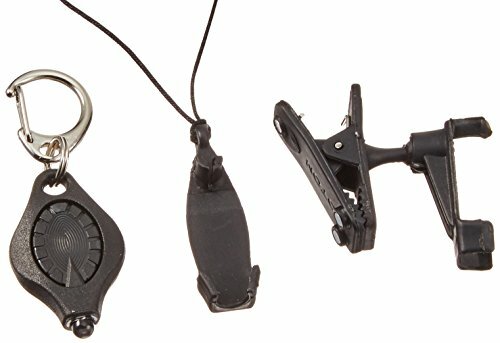 Not our focus for this article but if you know somebody in the police field you probably know how hard it is to write a ticket or read at night with a flashlight in your neck, read the full article to see a cool light specifically built for law enforcement that fits in their uniform pocket. For this article we will focus on our favorite duty light. If you are looking for a light for something else aside from the main carry light please take a look at our full Police Flashlight Buyer’s Guide. For a main duty light their are only 4 brands that we would even consider since our lives might be on the line. They are Elzetta, Surefire (mentioned earlier), ArmyTek and the brand of this flashlight Streamlight. Streamlight is well known as a highly durable and reliable flashlight brand. Aside from this they have a large focus on designing flashlights that are work related like construction workers, firemen, and police officers. The Streamlight Protac HL4 is the high lumen dual switch version of their classic Protac police flashlight. The Protac HL4 can be ordered with many different ways to recharge it including a docking station that can be installed in a patrol car. The Streamlight Protac HL4 has a lumen output of 2200 lumens for 1 hour and 45 minutes. Using Streamlight’s TEN-TAP programmable switch located on the tail cap users have the ability to select one of three operating modes. Li-Ion 18650 batteries are very popular in the flashlight market. They offer high power at a relatively small size. The only down side to high end Li-Ion batteries is the need for a high quality charger to take care of your expensive batteries. What is 18650 you might say, why not best R2D2 or C3PO flashlight… 18650 is a size of a li-ion rechargeable battery. The most common battery that is used to power laptops and I hear that each Tesla has 6800 of these batteries. 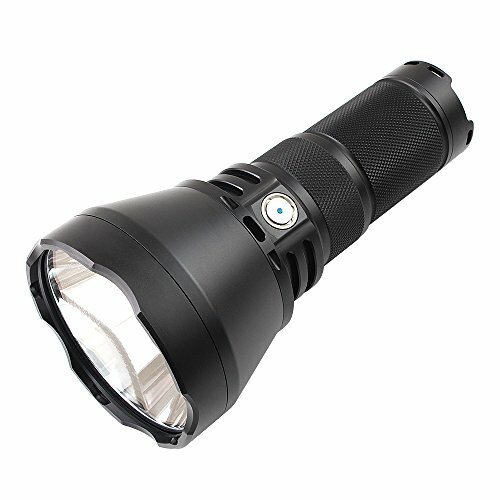 18650 flashlights are very popular needless to say also. What does the name mean you might ask. The name means that the battery is 18mm by 65mm where in comparison a AA battery is 14mm by 50mm and so the li-ion equivalent of the AA is 14500. When looking at the battery it looks bigger but not that much bigger, the fact is that the volume of the cylinder is 114% bigger. This means that there is way more battery there also li-ion is usually over 3 volts where a alkaline battery is only 1.5 volts. So much more capacity, a lot more volts, rechargeable. Being only a little bigger than a AA battery they offer 3 to 4 times the power. These are awesome batteries. In this article we cover 11 different 18650 flashlights. 7 of the 11 flashlights are single battery flashlights and they are separated by the function of the design of the flashlight and budget. The other 4 are multiple 18650 flashlights and they are separated into throw or flood lights and then into budget. For this article we chose to hi-light the best single 18650 throw flashlight. If you are looking for an 18650 flashlight for a different use or a different size we recommend you read the full 18650 Flashlight Buyer’s Guide. 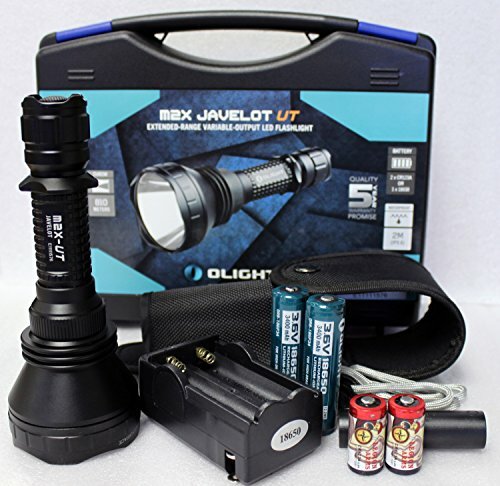 When Olight announced the M2X-UT Javelot the flashlight hobbiest went into a little of a frenzy. It was one of the first major production lights that had a dedomed LED emitter. If you look closely at an LED you see a plastic dome over the top of the electronics, this helped the light be dispersed. If that little plastic dome is removed you lose a little bit of the overall brightness but the throw can get increased dramatically. With this light you have a single 18650 flashlight that has a throw of over 800 meters. It has a head that is 2.48 inches wide to help focus the beam that comes from custom Cree XP-L2 LED. This light comes with three brightness settings and a memory function to return to the last setting you were on. Any light can be used as a hunting flashlight but there are some specific features that can make the flashlight more useful in more situations. Things like different color LEDs or color filters, moonlight mode, and extra long battery life are features that could help a hunter out. In our Hunting Flashlight Buyer’s Guide we cover 7 different flashlights with different attributes that make them useful. You might want a pressure switch so your the light is easier to use when mounted to your rifle. You might want a headlamp since sometimes you need to be hands-free. For this article we chose to hi-light our favorite light with multiple color LED’s. If this light does not fit what you are looking for then please take a look at our full Hunting Flashlight Buyer’s Guide. The Nitecore SRT9s is a flashlight that has a lot of options. Aside from the white LED they also put 4 additional auxilary lights red, green, blue, and UV. A red beam will not mess with your night vision so you can read maps and get around at night without blinding yourself. Green can not be seen very well by some species of animals that you might want to hunt at night so you can see them but they can not see that you are looking at them. Blue is known to help out will tracking blood. UV has its own set of uses. As far as the white light is concerned this light puts out 2150 lumens and it has a 1.57 inch head so it has a pretty good throw of 246 meters. 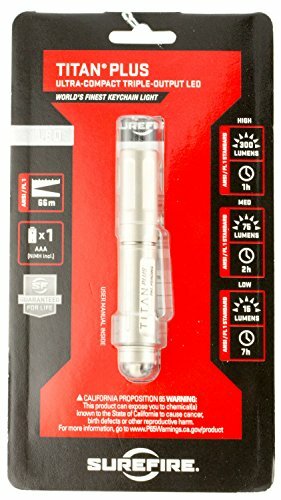 This flashlight comes with a brightness control ring that can infinetly adjust the brightness from 0.1 lumens up. This light is powered by two 18650 battery or 4 CR123A batteries. It is also IPX-8 rated so you will not have to worry about dropping this light in a stream or anything. The LRI Photon Freedom is one of our favorite lights overall and we can say that we definitely have too many of these lying around everywhere. The thing is that this light is so small that you can use it as a zipper pull on your fleece and one on your backpack. If you get a few of these then you will never be without a light. We know that it looks really similar to the really cheap push LED lights that you can get from any promotional table but these are different. As far as the lumens go this light is fully adjustable from 0 to 4.5 lumens. In addition it comes with 5 safety modes, 3 different speeds of strobe, SOS, and a momentary on so you can do Morse code yourself. The body of this light is glass-filled so it is near indestructible and it is IPX-7 water proof. Don’t take our word for it though, if you are hesitant about these because they look like cheapo promo lights then click through to Amazon and read the other reviews. Oh yeah I forgot, it comes with a magnetic hat clip so you can put it on your hat as a headlamp or stick on anything metal. It also comes with necklace lanyard. If you want it comes in many different case colors and 10 different light colors. Our favorite UV light is the Nitecore CU6. It is one of the only UV lights from a large well respected flashlight manufacturer. It has a 400 lumen white led along with its 365nm UV light. It has strobe and the ability to control all of the different LEDs almost anyway you want. This light can run on 2 CR123A Batteries or if you are looking for a rechargeable option and a little more power go with a 18650 li-ion battery. 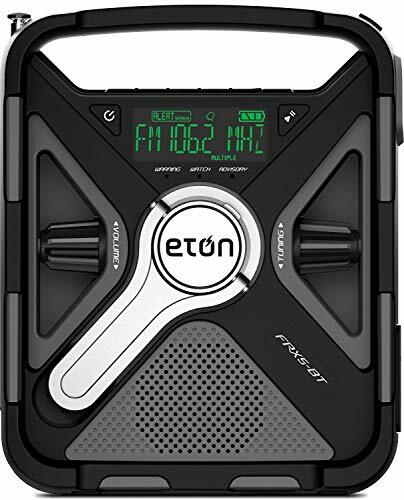 The Eton FRX5-BT is a great device. It is way more than a flashlight. The FRX5BT has SAME and NOAA alerts, AM/FM/NOAA radio bands. It has three power options, not just the hand crank but also it takes batteries and it has a small solar panel. Last, it offers red emergency beacon along with its white LED. It can even be used as a USB charger for other devices. 4 minutes of cranking should get you 10-15 of use. Flashlights come in all different sizes. I think that on this site most of the flashlights will seem small to some of the older flashlights you are used to, but for the purpose of this article we will keep the flashlights under 5 inches in length. 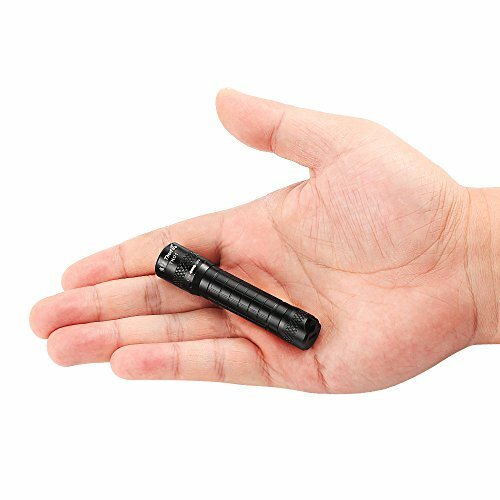 To be a good pocket flashlight a flashlight needs to be small, durable, bright. Features like a pocket clip and an on/off button that will not be hit in your pocket are good things to have. needs you will encounter dozens of different brands. Which ones are the most trusted and which are just trying to get you to buy a flashlight by making them look cool? These brands often have the top rated flashlights on the market. Similar to the pistol light but some of these can be a little larger in size and maybe be incorporated in to a scope. This does include pistol lights but also has lights that you would put on a larger gun like a tactical shotgun. Similar to the term small, many of the flashlights on this site will already seem “mini” to you. For this best of segment we will focus on flashlights that are under 3 inches in length. Thank you for visiting BestTacticalFlashlights.net. We sincerely hope that you were able to find a “Best Of” article that help you here. Our goal is to help everybody find the flashlight that they need. If there is any other specific type of flashlight that you want us to research and have in a best flashlight article please email us. If we helped you in anyway please use one of the links above to make your purchase on Amazon. We are part of the Amazon Affiliate program which means that we get a small commission from purchases made through our links with no extra cost to you. This is how we keep the site running and so we can continue to sift through all of the flashlights on the market.